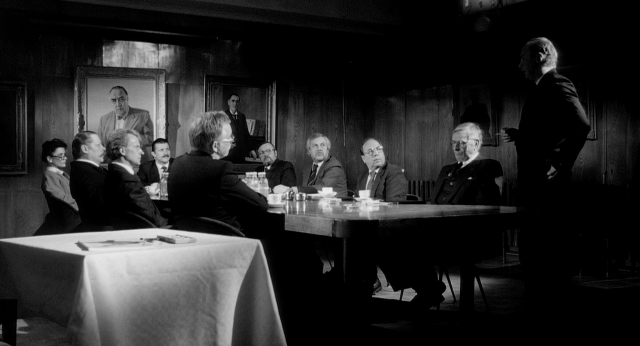 A sardonic and irreverent contemporary adaptation of William Shakespeare’s Hamlet, Hamlet Goes Business is an idiosyncratically whimsical, yet incisive satire on corporate greed, materialism, corruption, and vengeance. 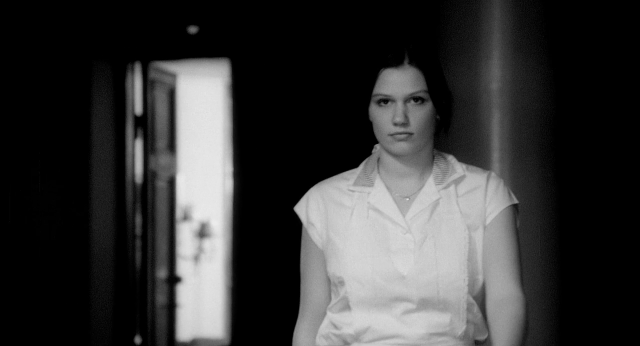 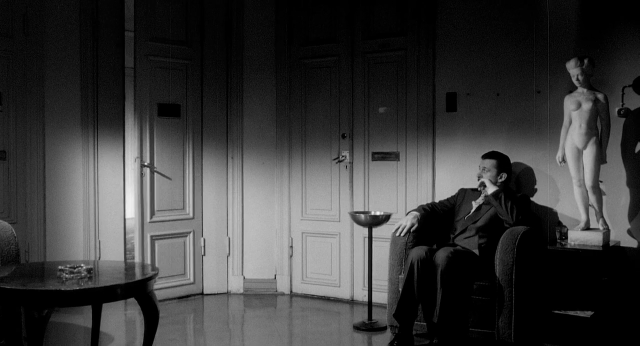 Shot in black and white and employing high contrast lighting, the film achieves an atmospheric noir that reflects Aki Kaurismäki’s irrepressibly droll sense of humor and penchant for understated irony. 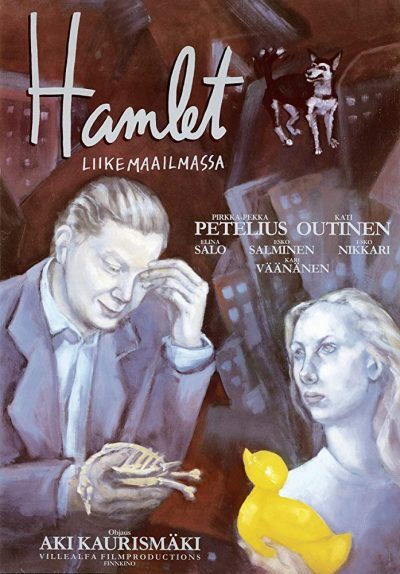 Kaurismäki incorporates traditional, often manipulative and hackneyed stylistic devices of lush, overarching music, directed stage lighting, expressionistic gestures, skewed camera angles, and meticulously composed slow motion shots in order to playfully subvert dramatic convention: Lauri’s angered departure from Hamlet’s office; Hamlet’s self-consciously tormented delivery of a poem to Ophelia; the overdramatic, but anticlimactic plot device of the Murder of Gonzago play-within-a-play episode to expose Klaus’s treachery; the exquisite choreography of Ophelia’s final moments of despair. 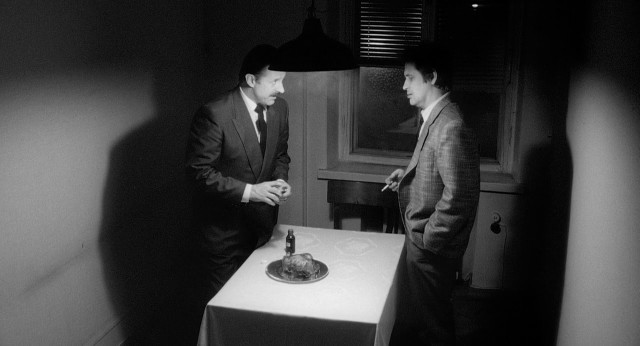 By integrating muted emotion with exaggerated theatricality, Kaurismäki creates a delirious and incongruent fusion of highbrow art film and pop culture kitsch – a patently iconoclastic comedic tragedy on indecision, inertia, and alienation.